According to the latest filings Cisco Systems bought shares of Aquantia and sold those of VMware during the fourth quarter of the 2017 calendar year. By the close of last year the total value of Cisco’s holdings in six stocks was approximately $740 million. More than half of the holdings (50.7%) were in SPDR while 42.83% were in VMware Inc. approximately 0.77% of the portfolio was in Apptio and 4.68% in MuleSoft Inc. the proportion of Cisco’s holdings in Aquantia Corp in its portfolio was 1.03%. This comes in the wake of Cisco completing its purchase of Broadsoft as the networking gear maker moved to pursue its unified communications strategy. The deal will see Cisco pay $55 for every share for a total of $1.9 billion. Broadsoft will consequently be delisted and a notification will be filed with the U.S. Securities and Exchange Commission. This delisting is expected to go into effect later this month. 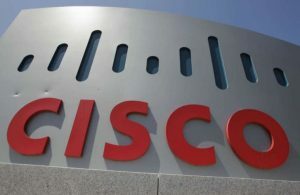 The former chief executive officer of Broadsoft, Michael Tessler, will join Cisco following the acquisition. The unified communications group of Cisco is under the leadership of Tom Puorro, a general manager and vice president, who reports to general manager and senior vice president, Rowan Trollope. “… our combined offers, from Cisco’s collaboration technology for enterprises to Broadsoft’s suite for small and medium businesses … will give customers more choice and flexibility. Cisco and Broadsoft will deliver a robust suite of collaboration capabilities across every market segment,” Trollope said following the announcement of the acquisition last October. Products of Broadsoft will be integrated with Cisco’s mix of customer care, messaging, calling and services portfolio. Besides broadening its portfolio the exposure of Cisco to cable operators such as Comcast, Charter Communications and Cox Communications will be enhanced. These three cable operators have been collaborating with Broadsoft with a view to delivering hosted-voice services to enterprise customers. Last year in November Broadsoft recorded $91.5 million in revenues for its third quarter. This was a 9% year-over-year increase. Broadsoft’s net loss for the quarter was $2.7 million or approximately a new loss of $0.90 per diluted and basic common share. This comes in the wake of Cisco announcing that it intends to add contextual insights and mathematical modelling in order to cut down on the amount of time that IT workers spend troubleshooting. With an ‘intent-based’ networking initiative, the management of a network using manual processes will consequently be done away with.